Bituminous coal or black coal is a relatively soft coal containing a tarlike substance called bitumen. It is of higher quality than lignite coal but of poorer quality than anthracite. Formation is usually the result of high pressure being exerted on lignite. Its coloration can be black or sometimes dark brown; often there are well-defined bands of bright and dull material within the seams. These distinctive sequences, which are classified according to either "dull, bright-banded" or "bright, dull-banded", is how bituminous coals are stratigraphically identified. Bituminous coal is an organic sedimentary rock formed by diagenetic and sub metamorphic compression of peat bog material. Its primary constituents are macerals: vitrinite, and liptinite. The carbon content of bituminous coal is around 60-80%; the rest is composed of water, air, hydrogen, and sulphur, which have not been driven off from the macerals. Bank density is approximately 1346 kg/m³ (84 lb/ft³). Bulk density typically runs to 833 kg/m³ (52 lb/ft³). The heat content of bituminous coal ranges from 24 to 35 MJ/kg (21 million to 30 million BTU per short ton) on a moist, mineral-matter-free basis. Within the coal mining industry, this type of coal is known for releasing the largest amounts of firedamp, a dangerous mixture of gases that can cause underground explosions. Extraction of bituminous coal demands the highest safety procedures involving attentive gas monitoring, good ventilation and vigilant site management. Bituminous coals are graded according to vitrinite reflectance, moisture content, volatile content, plasticity and ash content. Generally, the highest value bituminous coals have a specific grade of plasticity, volatility and low ash content, especially with low carbonate, phosphorus, and sulphur. Plasticity is vital for coking as it represents its ability to gradually form specific plasticity phases during the coking process, measured by coal dilatation tests. Low phosphorus content is vital for these coals, as phosphorus is a highly damaging element in steel making. Coking coal is best if it has a very narrow range of volatility and plasticity. This is measured by the free swelling index test. Volatile content and swelling index are used to select coals for coke blending as well. Volatility is also critical for steel-making and power generation, as this determines the burn rate of the coal. High volatile content coals, while easy to ignite often are not as prized as moderately volatile coals; low volatile coal may be difficult to ignite although it contains more energy per unit volume. The smelter must balance the volatile content of the coals to optimize the ease of ignition, burn rate, and energy output of the coal. Low ash, sulphur, and carbonate coals are prized for power generation because they do not produce much boiler slag and they do not require as much effort to scrub the flue gases to remove particulate matter. Carbonates are deleterious as they readily stick to the boiler apparatus. 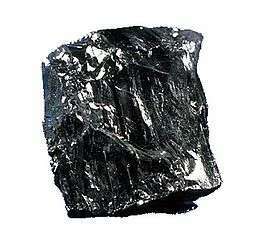 Cannel coal is a coal which ignites easily producing a bright flame. The name may derive from northern English pronunciation of candle coal. 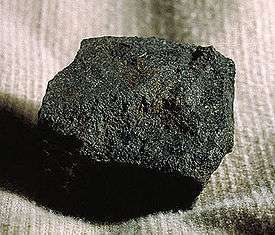 It contains a high volatile content, is non-coking and was a source for coal oil in West Virginia during the mid-1800s. While the use of Cannel has greatly diminished over the past century, it is still valued by artists for its ability to be carved and polished into sculptures and jewelry. When used for many industrial processes, bituminous coal must first be "coked" to remove volatile components. Coking is achieved by heating the coal in the absence of oxygen, which drives off volatile hydrocarbons such as propane, benzene and other aromatic hydrocarbons, and some sulphur gases. This also drives off a considerable amount of the contained water of the bituminous coal. Coking coal is used in the manufacture of steel, where carbon must be as volatile-free and ash-free as possible. Coking coal is heated to produce coke, a hard, grey, porous material which is used to blast in furnaces for the extraction of iron from the iron ore.
Bituminous coal in the United States is between 100 and 300 million years old. In the United States, Cretaceous bituminous coals occur in Wyoming, Colorado and New Mexico. In Canada, the Western Canada Sedimentary Basin of Alberta and British Columbia hosts major deposits of bituminous coal that formed in swamps along the western margin of the Western Interior Seaway. They range in age from latest Jurassic or earliest Cretaceous in the Mist Mountain Formation, to Late Cretaceous in the Gates Formation. The Intermontane and Insular Coalfields of British Columbia also contain deposits of Cretaceous bituminous coal. Extensive but low-value coals of Jurassic age extend through the Surat Basin in Australia, formed in an intracratonic sag basin, and contain evidence of dinosaur activity in the numerous ash plies. These coals are exploited in Queensland from the Walloon Coal Measures, which are up to 15 m thick of sub-bituminous to bituminous coals suited for coking, steam-raising and oil cracking. Coals of Triassic age are known from the Clarence-Moreton and Ipswich Basins, near Ipswich, Australia and the Esk Trough. Coals of this era are rare, and many contain fossils of flowering plants. Some of the best coking coals are Australian Triassic coals, although most economic deposits have been worked out. The second largest deposits of the world's bituminous coal are contained within Permian strata in Russia. Australian deposits in the Bowen Basin in Queensland, the Sydney Basin and Perth Basin are Permian coal, where thicknesses in excess of 300 m are known. Current reserves and resources are projected to last for over 200 years. Australia exports the vast majority of its coal for coking and steel making in Japan. Certain Australian coals are the best in the world for these purposes, requiring little to no blending. Some bituminous coals from the Permian and Triassic in Australia are also the most suitable for cracking into oil. Much North American coal was created in subsiding areas adjacent to the Appalachian Mountains during the Pennsylvanian subperiod. A vast network of swamps covered large parts of North America at this time and much of the organic material created in these wetlands accumulated to form thick layers of peat (the precursor to coal) that were buried faster than they could decay. Bituminous coal is mined in the Appalachian region, primarily for power generation. Mining is done via both surface and underground mines. Pocahontas bituminous coal at one time fueled half the world's navies and today stokes steel mills and power plants all over the globe. ↑ Richards, William Allyn (1915), Forging of iron and steel, D. Van Nostrand Company, p. 50. ↑ Wadleigh, Francis Rawle (1921), A coal manual for salesmen, buyers and users, National coal mining news, p. 113. ↑ "E-WV West Virginia Encyclopedia". Charleston, WV 25301: West Virginia Humanities Council | 1310 Kanawha Blvd E. Retrieved 2012-03-22. ↑ "Types of Coal". eia.doe.gov (U.S. Energy Information Administration). Retrieved 2011-01-04. ↑ Wyoming State Geological Survey. "Wyoming Coal". Retrieved 2014-01-24. ↑ "Colorado Coal: Energy security for the future" (PDF). Colorado Geological Survey, Rock Talk, vol. 8, no. 2, p. 1-12. 2005. Retrieved 2014-01-24. ↑ Canadian Society of Petroleum Geologists (1994). "The Geological Atlas of the Western Canada Sedimentary Basin, Chapter 33: Coal Resources of the Western Canada Sedimentary Basin". Compiled by Mossop, G.D. and Shetsen, I. Retrieved 2013-08-01. ↑ Ryan, Barry (2002). "Coal in British Columbia". Retrieved 2014-01-24. Buxton, N.K. The economic development of the British coal industry: from Industrial Revolution to the present day. 1979. Freese, Barbara, Coal: A Human History (2004). Short popular history, worldwide. Long, Priscilla. Where the Sun Never Shines: A History of America's Bloody Coal Industry Paragon, 1989. "Bituminous Coal". New International Encyclopedia. 1905.